QuickBooks POS is among the most popular Point-of-Sale software in the market because of several features that can simplify and pace-up the operations for merchants. From detailed reporting to effective inventory management, QuickBooks POS has been enhancing the shopping experiences since long. However, for POS needs that go beyond a location, one may face some limitations and that is where the cloud becomes almost a necessity because of the benefits that hosting brings. Modern-day business challenges demand more mobility and agility. For example, tracking sales and inventory status can be a daunting task for the owners of retail stores that are in various locations. Cloud for its remote accessibility and endless customization options can add value to your services and induce the simplicity in the monitoring, management, and tracking of the operations. Let us have a look at the advantages that cloud hosting of QuickBooks POS brings. 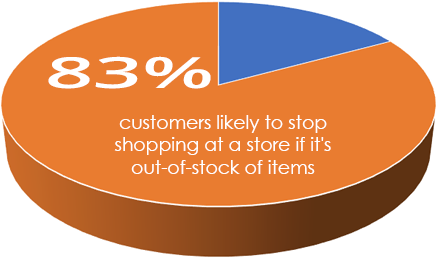 A study by Software Advice suggests that 83% of the customers may stop shopping at a store if the product that they are looking for is out of stock. Since the point-of-sales are not confined to one physical store, keeping a continuous watch on inventory status is crucial. From web-based store to retail chains, demand for the remote availability of QuickBooks POS software maybe because of various reasons. 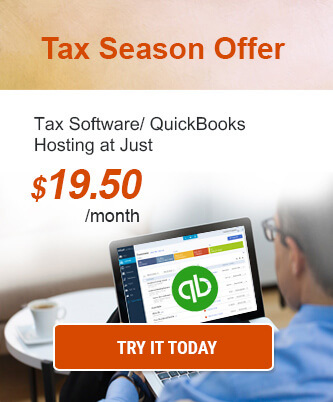 Hosting QuickBooks on the cloud brings a simple yet powerful solution. You can access the software from anywhere and track the real-time status of sales, inventory, and more. Data handled by QuickBooks POS is critical. From the sales figures to customer information, there is a lot that needs to be protected against loss as well as from intrusion of unwanted parties. Maintaining data on the local devices is vulnerable to device damages, system crashes, etc. 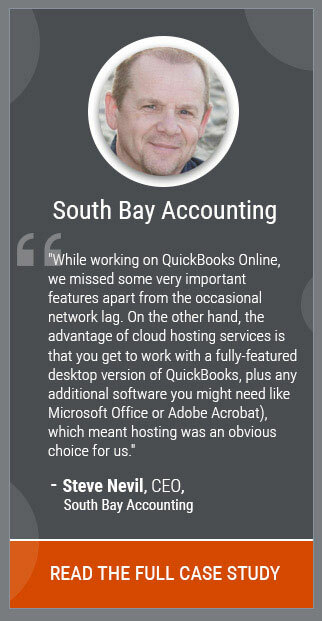 Cloud hosting secures your QuickBooks POS data on many fronts. Most of the reliable hosting providers deploy several layers of security measures, such as – end-to-end data encryption, firewall, anti-malware software, TFA, etc. Along with that, automated backup is maintained, which safeguards the data from the instances, like – accidental deletion and device damages. Backups can be restored almost instantly, and the services are available without much of interruption. Integration can simplify and automate the various processes including – bookkeeping, tax preparations, customer loyalty rewards and a lot more. 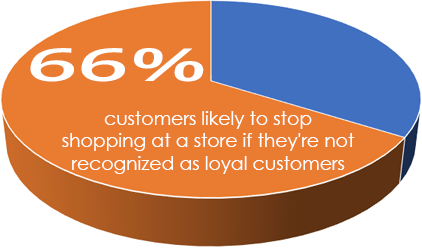 Consider this statistics “66% of the loyal customers can stop shopping at a store when they are not recognized” . This simple statistic indicates the value that integration can add to QuickBooks. Cloud gives a common platform for different software, where you can scale up or down the resources as per requirements. With the local machine, there is always a struggle with hardware limitations, especially with the growing data and applications. With cloud, it is simply a matter of some clicks and raising the request with customer support of your hosting provider. As mentioned in the above point, local hardware struggle to keep up with the business growth. Given that hardware cause big dent in the expenses, one cannot expect to upgrade them every month. Cloud hosting model gives a device independent working model for the business, which saves on the Total Cost of Ownership for most cases. As your QuickBooks POS starts asking for more users, data storage, processing memory or something similar, you can choose for better hosting server resources, which is way more pocket-friendly. QuickBooks POS involves certain hardware to work with, so reducing some amount with the cloud of the cloud is always a welcome offer. QuickBooks POS is one of the software that serves wide varieties of merchant sale points. Hosting it on the cloud adds more worth to the software because it gains enhanced security, remote accessibility, and reduces cost while improving the work structure. For certain retail business, this model may not fit as there are some risks involved with the cloud as well. So, it is important to understand the peculiarities of your business before making the decision. We invite you to consult with our Cloud Experts to understand how QuickBooks POS hosting will benefit your business and how will it actually works for you. QuickBooks POS Online: Smoothen Your Retail Service This Holiday Season 5 Benefits of Switching to QuickBooks POS Online How QuickBooks POS Cloud Hosting Help Retailers Manage Inventory Better? What is QuickBooks POS Online and How Is It Different From ‘Traditional’ POS?